Liz is using Smore newsletters to spread the word online. Polio is caused by a virus that can result in debilitating paralysis and death. The virus occurs only in humans and is contracted easily. A vaccine was first put to use in 1955, and vaccines are now administered to children at 2 months, 4 months, 6-18 months, and 4-6 years. The first clinical description of Polio was recorded in 1789 by a British physician named Michael Underwood. 1894 was the year of the first documented Polio outbreak in the United States. By 1916 the first epidemic occurred which resulted in 27,000 cases nationwide and 6,000 deaths. 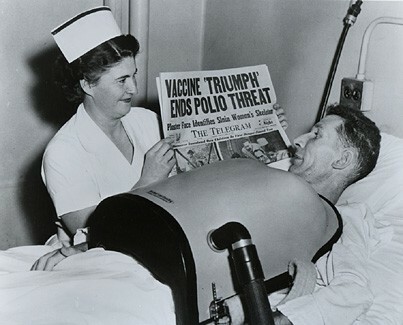 In 1952 the nation saw 57,000 cases, but luckily a vaccine was on its way. In the years following the creation of the vaccination (in 1955) naturally occurring cases dropped dramatically. 1979 saw the last of these cases in a spread of communities that had refused vaccination. After 2-5 days these symptoms generally pass, but a small percentage of those with symptoms may end up with meningitis (1/25) or paralysis (1/200). These cases may seem rare, but when 57,000 people are infected as in 1952, the sufferers of the rare outcome become many. The poliovirus lives in the throat and intestines. Transmission usually occurs due to contact with an infected individuals stool or nasal/oral secretions. The virus can live in feces for many weeks. It can be passed by individuals who appear to lack symptoms and those who have exhibited symptoms already for 1 to 2 weeks. While it affects children most commonly, it can still be contracted at any age. Though the percentage of individuals who will experience severe symptoms from polio is small, those symptoms can be very dangerous. Developing meningitis (infection of the brain/spinal cord coverings) can result in death. Paralysis can make life very difficult and sometimes result in death if it affects the sufferer's ability to breathe. 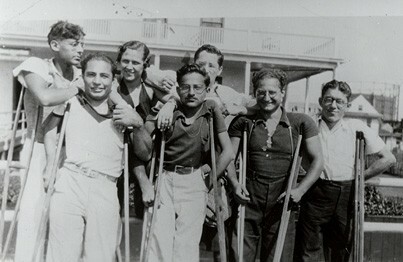 Post-polio syndrome can occur in those who fully develope the disease. Post-polio can affect a person later in life up to 40 years after the infection. This can cause muscle pain, weakness, and paralysis. The vaccine for the poliovirus is highly effective. After 2 doses 90% of patients have antibodies. After 3 doses 99% have antibodies. The eradication of polio is a global initiative. 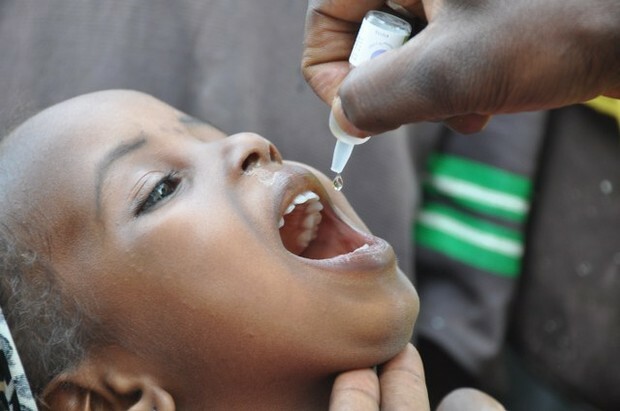 The U.S. has been polio free (not counting cases brought in from outside the country) since 1980, and 80% of the world population lives in polio free countries. Polio is still endemic in Afghanistan and Pakistan. Countries experiencing outbreak include Madagascar, Guinea, and Ukraine. Current efforts require funding for mass production of the vaccine and outreach to countries with poor public health standards. With well-rounded vaccine practices implemented everywhere possible, the goal of global eradication is within reach.